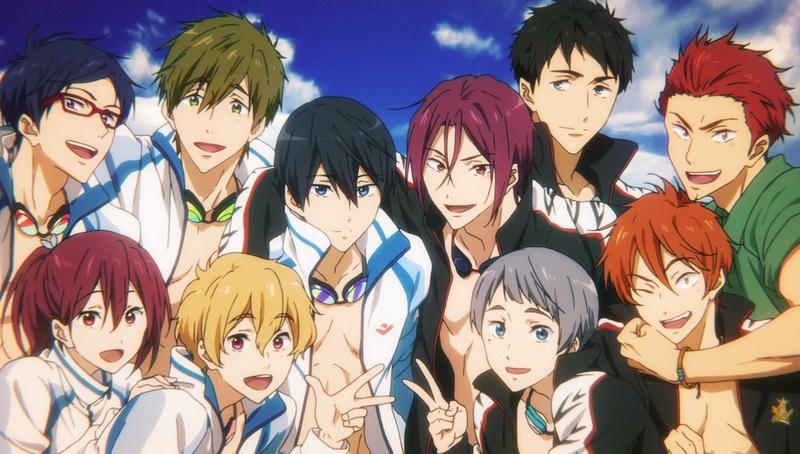 Building on the success of the Internet-breaking, hit animated series “Free!,” Funimation Films in association with Asahi Broadcasting Company is bringing anime’s favorite swimmers to U.S. theaters as they face their future and the graduation of teammates in the new film “Free! Take Your Marks” from creators Kyoto Animation and Animation Do. The movie’s storyline follows the events of Season 2 (“Free! Eternal Summer”) and leads up to Season 3 of the series, which will premiere this summer. “Free! Take Your Marks” will be screened in Japanese with English subtitles in select theaters nationwide on Wednesday, March 14, as a one-night-only event-style release with a special pre-show. The pre-show will include an exclusive animated greeting and introduction to the film by the “Free!” characters that was previously only available in Japanese theaters, as a well as a movie photo session offering fans the opportunity to take and post pictures and become part of the event itself. Advance tickets for film are available on the movie’s official website, http://funimationfilms.com/free. “Free! Take Your Marks” is the third in a trilogy of films that includes the “Free! Timeless Medley” compilation movies, which retell Seasons 1 and 2 of the television series and feature brand new characters and content. Along with the theatrical rights for “Free! Take Your Marks,” Funimation has also acquired the home video distribution rights for the complete trilogy as well as the long-awaited prequel film “High Speed! — Free! Starting Days” from Asahi Broadcasting Company. Home video release dates for the four titles will be announced in the future. Haru and Makoto are prepping to move to Tokyo, which means finding a place to live. While they’re off searching, Nagisa, Rei, and Gou are left coming up with something big to enlist new Iwatobi club members. But can they fill the pool or is the club’s future sinking fast? Then, the boys of Samezuka are having their own time getting ready for the future. While Rin prepares for his move to Australia and Sousuke moves out of the dorm, Nitori and Momo want to do something big to thank their senpais. A visit to the hot springs should do the trick, but a misunderstanding about Gou could leave Rin unsettled and only a challenge in the water can set his mind at ease.